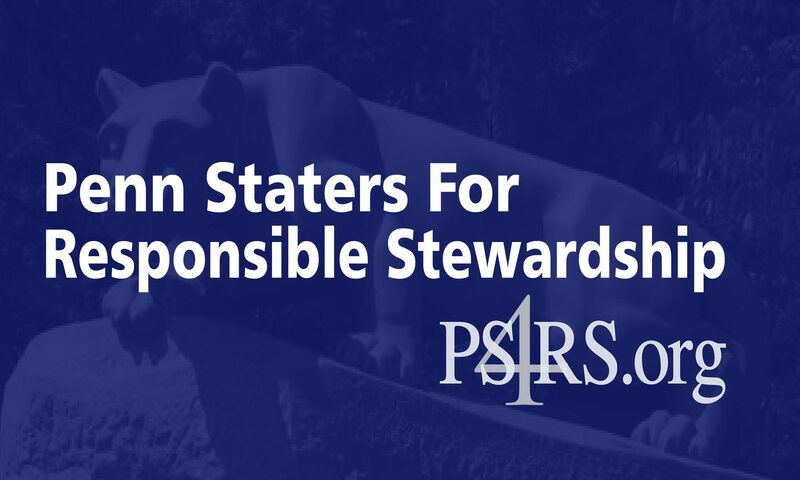 Penn Staters for Responsible Stewardship applauds Penn State President Eric Barron’s criticism of the Freeh Report. Our Legal Review of the Freeh Report, which we published in September 2012 (more than two years ago), listed many of the same defects identified today by President Barron, as well as several others (visit https://ps4rs.org/freeh.html to read our review). Since then, we have pleaded with the Board of Trustees, the administration, the press, and the general public to read our review to gain an understanding of the Freeh Report’s insurmountable shortcomings. We completely debunked the notion that there was anything “independent” or fair about the report. Our examination conclusively showed that the $8.1 million “investigation” was not conducted properly, was not complete, and is of very little value (even its recommendations were cribbed from other sources that the university could have accessed at no expense). We are extremely happy that President Barron understands the shortcomings of this defective document. Nevertheless we are disappointed that the leaders of the Board of Trustees still refuse to acknowledge the incredible damage that it inflicted on the University and its students, faculty, employees, alumni and supporters. Finally, we thank President Barron for recognizing the passion of all those associated with Penn State, whose relentless fight for the truth was the catalyst for his review. We hope that his stance will lead to a complete repudiation of the report by the Board of Trustees and other subsequent actions to restore the University’s reputation. AP: Penn State President: Freeh Acted Like Prosecutor; PSU president ‘not a fan’ of Freeh report into Sandusky, criticizes NCAA penalties. Another big step towards repairing the damage done over the past three years.